Posting this since it seems a fair few people want to try out Yz50/Clockwork's version of Garm3n Hud Konr Wings from Quake. edit: I should carify that the font is optimized for 1024x768 resolution. 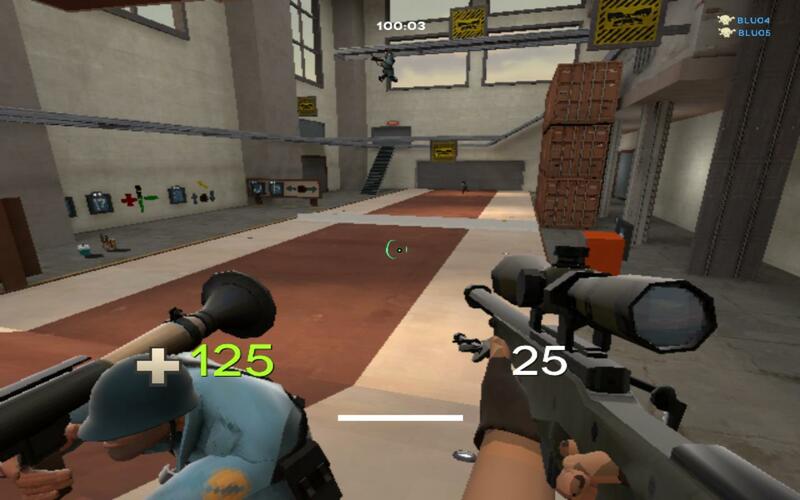 If you have troubles positioning it the best you can do is mess with the crosshair size and positioning. Open up steam/steamapps/Common/Team Fortress 2/tf/custom; you will be working within this folder from now on. If have a custom hud installed look for the resource folder within custom. It may look like this custom/resource, custom/HUD/resource or something similar. Once you have found the resource folder check if there's a file called Garm3nFont.ttf is there, if there is delete it. Open up clientscheme.res from resource with a text editor and check you've got this text in there, if you haven't paste it. Open up hudlayout.res in your scripts folder in custom. It may look like this custom/scripts, custom/HUD/scripts or something similar. [i]edit: I should carify that the font is optimized for 1024x768 resolution. 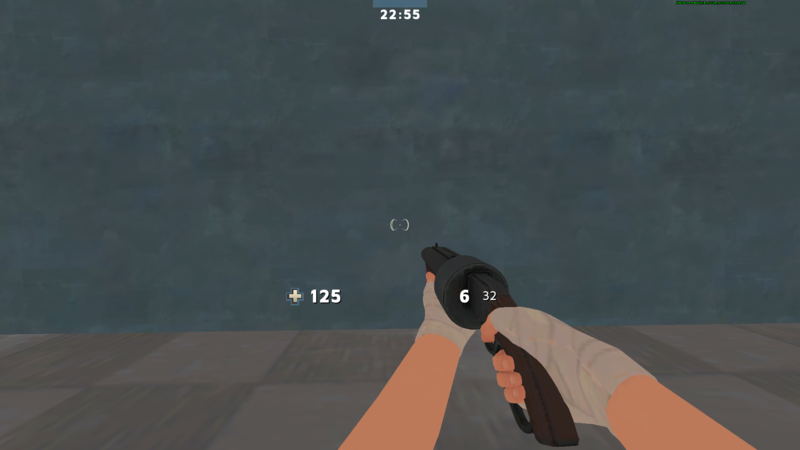 If you have troubles positioning it the best you can do is mess with the crosshair size and positioning. Thank you :) I love these huds! 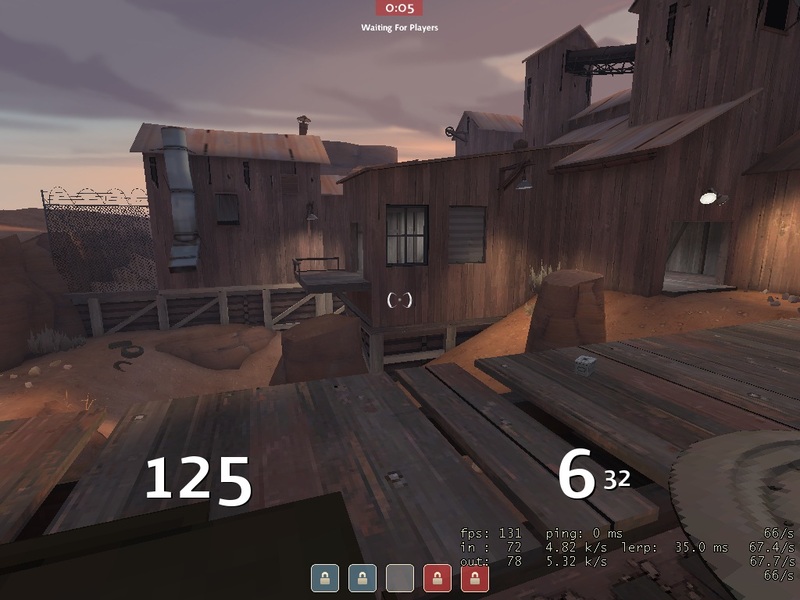 Also if you run at a 1920 x 1080 resolution and you don't want to play on like a size 45 "" crosshair, you should change the tall value in clientscheme.res to 12.5. Then you can just edit the crosshair values in the scripts to center it. You can finally play with yz50's size 32 "" xhair with minor centering issues(a couple pixels sticking out). Thanks for doing this. Should clear up a lot of confusion with HUD crosshairs. Here is the correct font file for macintosh operating systems: http://dl.dropbox.com/u/21833101/Garm3nFont.ttf, do everything the same but use this font file instead. Only some of the crosshairs work, the ones that I have found to work are the ones corresponding to 'i' and the numbers '1-9'. Does this work in the default HUD? I can't seem to find my hudlayout.res file. that's what I intended the crosshair to look like when I initially setup all the font/hud files. it's supposed to have the "none" crosshair overlap to make the sides a little more bold, and give the soldier crosshair those little prongs. if you use my settings I'm not sure how it'll look if you use it on a different resolution than 1024x768, it'll probably be a little off centered. Jru_jit_suDoes this work in the default HUD? I can't seem to find my hudlayout.res file. Thanks,can you please tell me what file it is? That'd be greatly appreciated. Jru_jit_su Tooni Jru_jit_suDoes this work in the default HUD? I can't seem to find my hudlayout.res file. yeah it does, but you'll need to extract the default hudlayout.res and clientscheme.res from one of the .gcf files (I'm not sure which) and do it from there Thanks,can you please tell me what file it is? That'd be greatly appreciated. it's called "team fortress 2 content.gcf" and is in your steamapps folder, use GCFscape to extract the scripts and resource folders from there and place those two folders in your tf folder, then follow the guide. If anyone has this setup could they post a DL link? Lights_If anyone has this setup could they post a DL link? if anyone has what setup? 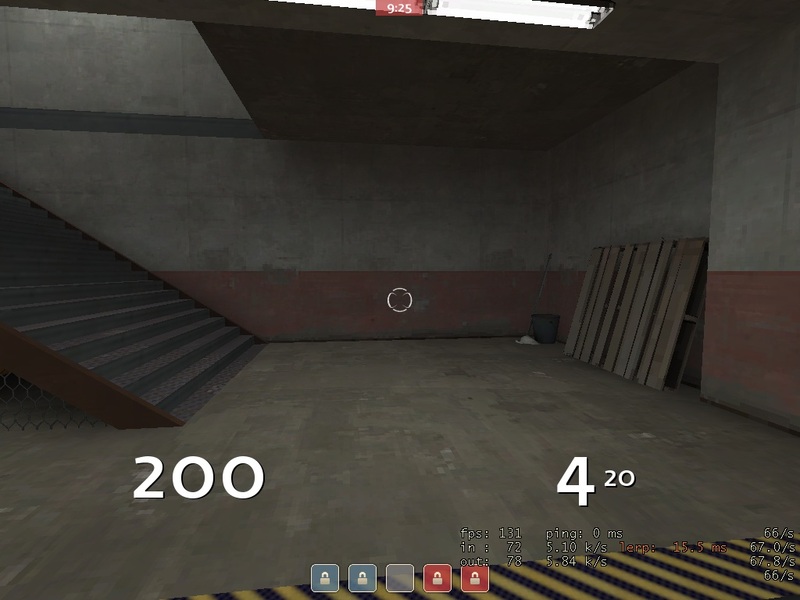 the crosshair within the default hud? Tooni Lights_If anyone has this setup could they post a DL link? Lights_ Tooni Lights_If anyone has this setup could they post a DL link? A lot of huds come with it pre-installed, like omp hud and rays hud. http://www.mediafire.com/?7ad0mb0b6vv03md Enjoy the default hud with wings. is it possible to have it look like yz50s screenshots if you use 1920x1080? The one I have is offcentred and I dont know the correct values for the x pos and y pos. Are you on no crosshair? Also, go into the resources folder and install garm3n font. MYLESAre you on no crosshair? Also, go into the resources folder and install garm3n font. Gonna try that tomorrow, thanks. KlausGonna try that tomorrow, thanks. If you still have errors, add me. How do you make it so it only appears for scout using the achievement tracker method? Like what text should I put in my scout.cfg or in the lines of the custom crosshair?